When it comes to the music industry, there are two Googles. And the difference between them leads to a complicated and fraught relationship. One Google is represented by its suite of entertainment media services like YouTube and Google Play, which have licensing agreements with the major labels and music publishers, along with movie studios and other media companies. That side is slowly becoming integrated into the fabric of the entertainment industry, through deals like the one announced by Billboard magazine this week that it would start incorporating YouTube play counts into its chart formulas. The other side of Google is its mighty search engine, the road map to the Internet, which people use to find content of all kinds — some of it preferred by the entertainment industry, but a great deal of it not. This is the side of Google that has the most frequent and public fights with the entertainment industry (though, to be sure, media companies have had no shortage of conflict with YouTube over the years). The latest incarnation of Big Media vs. Google search is a report issued on Thursday by the Recording Industry Association of America, or R.I.A.A., accusing Google of failing to make good on its own promises to punish pirate Web sites. In August, Google said it would take into account notices of copyright violation — of which the music industry files thousands each week — in determining a site’s search rank. The implication was that infringing sites would fall into obscurity and consumers would “find legitimate, quality sources of content more easily,” as Amit Singhal, a senior Google executive, wrote in a company blog post at the time. But the recording industry association, which is controlled by the major record companies, said that after testing Google’s searches, it still found plenty of infringing sites. 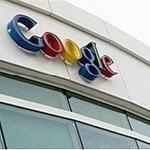 “Six months later, we have found no evidence that Google’s policy has had a demonstrable impact on demoting sites with large amounts of piracy,” the report said. At one point in the 15-page report, for example, the R.I.A.A. says that for many popular music searches, sites for which Google had received more than 1,000 copyright complaints were “almost eight times more likely to appear in the top 10 search results than a well-known, authorized music download site.” The report also shows, however, that sites for which Google has received more than 10,000 copyright removal requests appear less frequently than those which have received more than 1,000. The second part of that statement is where the two sides of Google collide, at least as far as the music industry is concerned. At the same time that the record labels are accusing Google of failing to deal with piracy, Google is also eagerly pursuing licensing deals to use and sell the labels’ music. Those deals frequently need to be updated to keep up with industry trends, an area in which Google has lagged behind competitors. It introduced a download store only in 2011, for example, and a licensed “locker” service — a way to store music and other files online — late last year, well after Apple and Amazon had done the same. There are many reasons why licensing negotiations between technology and media companies take a long time — just ask Spotify, which took nearly two years to enter the American market. But as long as the search side of Google causes friction with the music industry, its other side — the one that is trying to compete with Apple, Amazon and every other digital music service out there — will face some rough patches.